This makes me weirdly happy. 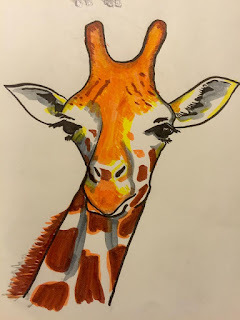 The giraffe is also very lovely, because it's a giraffe, and giraffes are always lovely. They are hunted for food amongst other things. So a very timely picture from the talented Mr Finnemore. Such a cheery, friendly giraffe. Can I have it for my office wall? Hello, I am Demetria Rogers. After being in relationship with my husband for years, he broke up with me. I did everything within my reach to bring him back but all was in vain, I wanted him back so badly because of the love I had for him, I begged him with everything, I made promises but he refused. I explained my problem to my friend and she suggested that I should rather contact a spell caster that could help me cast a spell to bring him back , I had no choice than to try it. I messaged the spell caster, and he assured me there was no problem and that everything will be okay before three days. He cast the spell and surprisingly on the second day, my husband called me. I was so surprised, I answered the call and all he said was that he was so sorry for everything that had happened He wanted me to return to him. He also said he loved me so much. I was so happy and went to him that was how we started living together happily again. The spell casters email is : drjazazasolution@gmail.com. You can email him if you need his assistance in your relationship or any other Case.